As part of our series of “Kitchen Basics” I asked you all for some of the topics you would like us to cover! 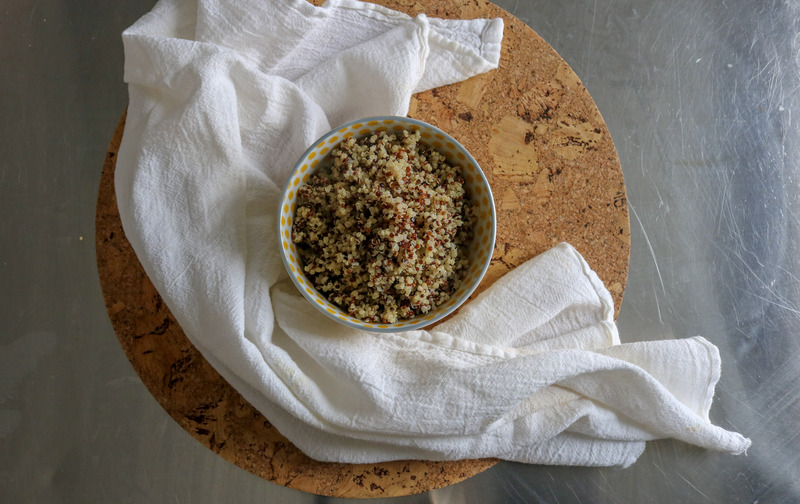 So today I have a recipe and video for you on how to easily and seamlessly cook quinoa. Quinoa has been a huge part of my diet since even before I had to go gluten free and I find that all the packages tell you the incorrect way to cook it! And if you’re like me and prefer a quinoa that isn’t porridge or mush then read below to shake your quinoa world. Used as the base of a grain salad. Mix with roasted vegetables, crumbled feta and drizzled with vinegar and olive oil. Used for a breakfast bowl. Mix with cooked oats and warmed on the stove with a little extra full fat coconut milk to make a breakfast porridge. Top with fresh fruit, nuts or seeds and a drizzle of maple syrup for a delicious and nutrient dense breakfast! Used as a pilaf as a side for dinner. Saute with shallots and mix with lemon zest, lemon juice, grated parmigiana (or nutritional yeast for dairy free) and toasted pumpkin seeds or pine nuts. 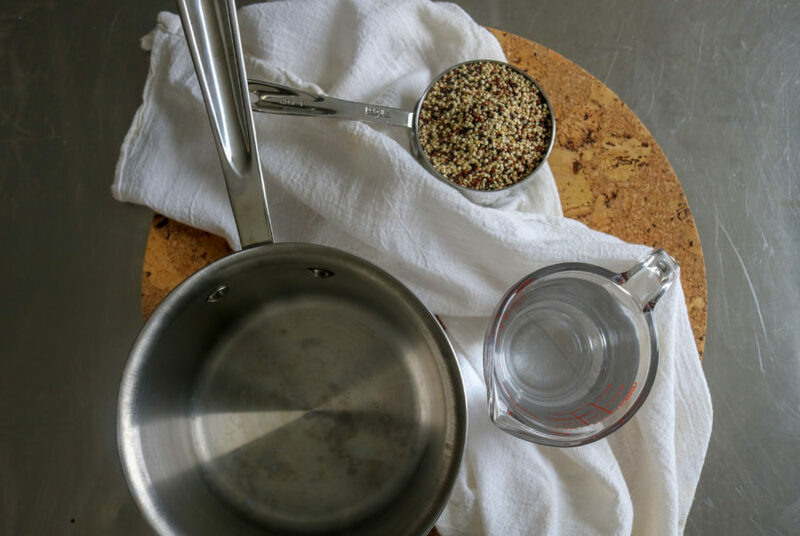 Add quinoa and water to a small saucepan (at least 4 cups) and place on a burner on high heat. Bring to a boil then turn down to low, cover and cook for 15 minutes.